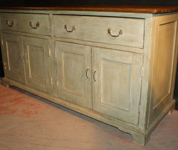 Country furniture brings in a rustic charm to your home turning it into a warm and welcome haven. 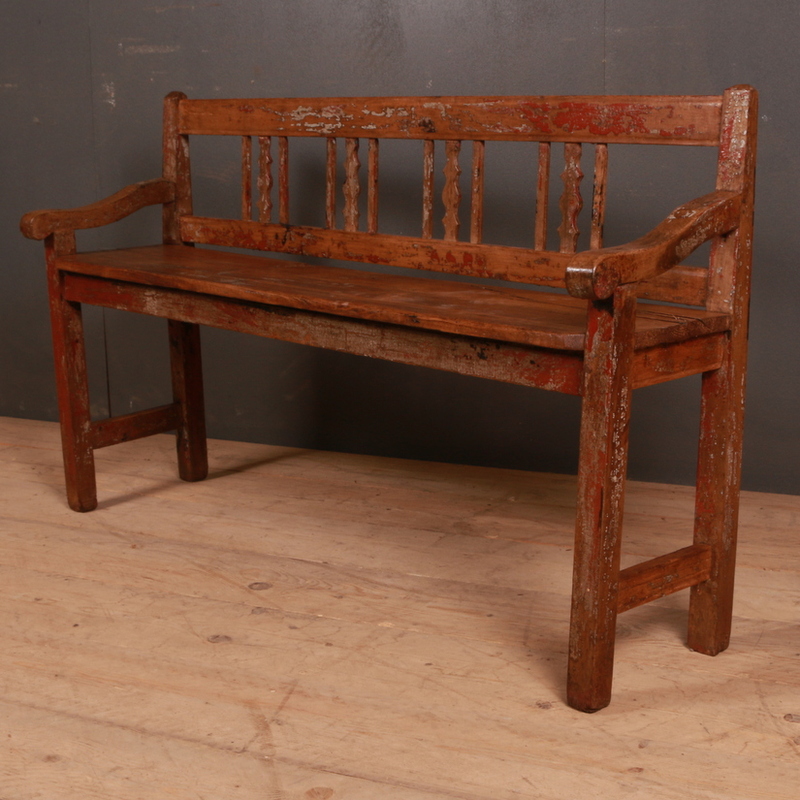 And the latest antiques that have caught our fancy are the plain and charming benches of old. Well-worn benches are making a good come back and are a popular interiors trend for the kitchen, dining room or bedroom for that matter. If you do not want to go all out with large antique furniture pieces in your decor, then decorative antique accessories are the best way to incorporate some tradition and charm. Mixing the old and the new is an excellent way to introduce a unique balance of style and very effortlessly add contrast and depth to a design. At Arcadia, apart from the usual wood browns, you will find kitchen farm tables in many different shades that will sit well in any modern kitchen. 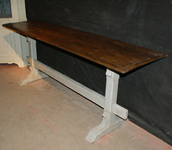 Farmhouse tables are long so can be used as a work island as well as for dining. 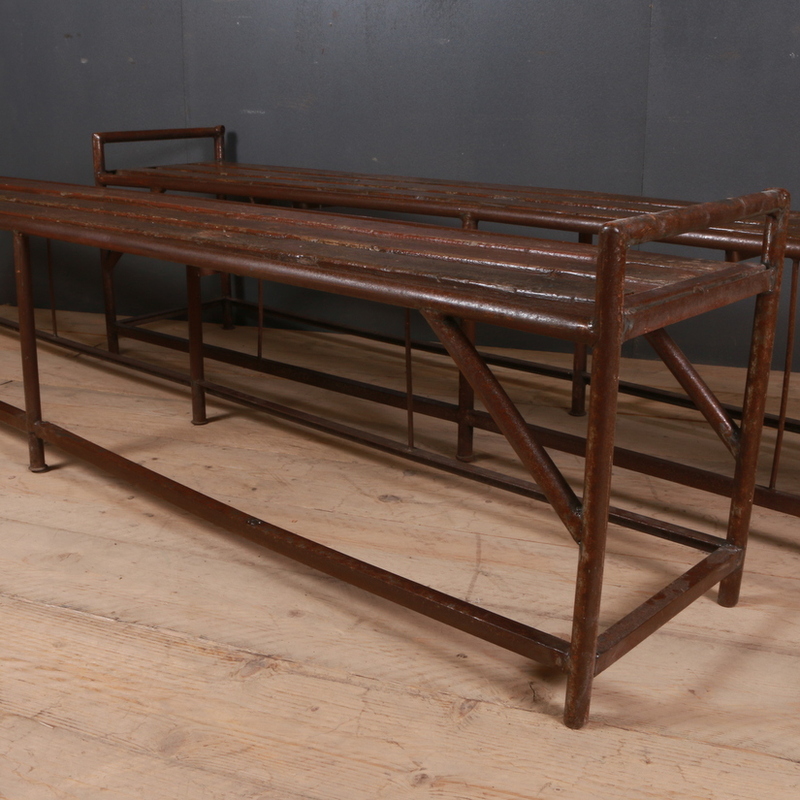 At Arcadia Antiques, we have quite a few classic looking, antique industrial furniture options. Industrial decor is best described as tough design and detailing that has a raw appeal to it. This style for a room or space means the use of metal, exposed brickwork, and cabling etc. that might usually be concealed. Side tables make a great addition to any room. And when these antique, the charm is doubled! At Arcadia Antiques we have a good variety of occasional tables. These come from different eras and locations with styles that are classic yet also very functional. The French Drapers Table was a common feature in the cloth merchant’s shops in the days of old. These tables came with an abundant surface area which was perfect for unfurling and cutting long swaths of fabric. Some pieces came with drawers underneath the table top that provided ample space for cutting tools such as shears, snips, and scissors. The lower level shelf provided plenty of space for storing additional fabrics. It isn’t always easy to fit antique or vintage furniture into modern and contemporary decor. After choosing what you want you must also consider the size, the colour, how it matches with your current decor and importantly the budget. 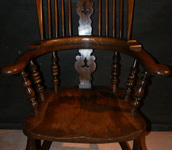 The value of the vintage and antique furniture depends on various factors such as origin, rarity, condition, uniqueness etc, any one or combination of which can affect the price and make it higher than expected. 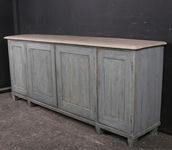 Antique dressers make a great inclusion in the modern interiors.... especially the antique oak examples. For those who want an element from the past into the contemporary interiors, the antique oak dressers make a classic inclusion which is not very imposing considering the size and yet hass a substantial presence. Most gardens can benefit from the beauty of antiques. Why restrict the beautiful antiques to the interiors alone? Imagine an antique urn standing smack in the centre of your garden. Won’t it add to the rustic appeal apart from being a very unique focal point of your garden? Antique bookcases, especially the French versions can make a very elegant addition to the home. French furniture items have always been more on the decorative side and have a very traditional appeal to it. Here are a few tips to help you choose the right bookcase depending on your decor. The trend of mixing and matching furniture styles is not restricted to the homes alone. It also often applies in workspaces. There are a number of people who are embracing the blend of styles to create a work space that is personalized, unique and aesthetically appealing. 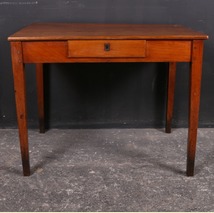 When it comes to period furniture pieces for the offices, the antique desks are the most common amongst the lot. 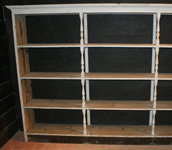 Antique shelves can make wonderful addition to today's home be it for displaying or storing. At Arcadia antiques we have a wide selection of antique shelves. If you are planning to acquire one here are a few tips to help you select the right option. Traditionally buffets were commonly used in the dining rooms or kitchens as they provided ample space for storage of cutlery and dishes. These were used in the dining room also for serving food, for displaying serving dishes such as silver etc. However in the modern homes, these can be put to versatile uses and also blend into the décor effortlessly. Mirrors make one of the best decorative elements. They are good for both form and function. There are many who strategically use the mirrors in the decor to open up the space and make it look bigger. In rooms that lack light, the mirrors can be smartly used to brighten up the space by reflecting light. 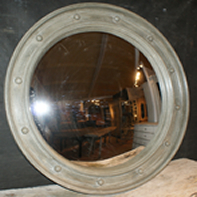 And apart from this, needless to say, mirrors make one of the most essential elements in any home. 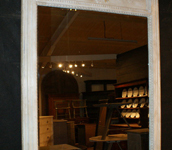 Using an antique painted mirror will add style and elegance to a room. 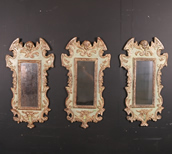 Mirrors make one of the best decorative elements in the decor of a room. These are good for their form and also are very functional. While some love the absolute authenticity of the antique furniture, there are those who like the antique feel but don’t really care for the authenticity of the antiques. In such cases it is better to have bespoke furniture to suit all your requirements perfectly. Bespoke furniture with an antique feel can be easily created to suit your home and satisfies the purpose of bringing in the period look with a charm of its own. Counters are a very versatile piece of furniture and can be put to multiple uses be it in the kitchen, dining room, living room, work space and elsewhere. They provide a good surface space apart from a good storage space. The antique variants of these counters are often interesting and make a stunning inclusion in the modern homes. 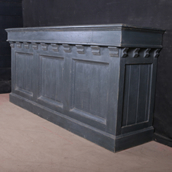 At Arcadia Antiques we have a wide variety of counters that will sit well in the traditional or modern homes. These pieces of furniture are both good looking and functional. The rack on an antique dresser makes a handy storage option in the kitchens, dining, bedrooms or your living rooms and the little ornate ones are also great for display decorative items or photo frames etc. These make a very clutter free accessory to display your stuff. Antique dresser racks make a very classy inclusion in the homes..... be the home ancient or modern. Why do you need antique stools in your decor? For the very simple reason that these make a charming and sophisticated addition in period or contemporary homes and prove to add a good decorative accent with their rustic charm. Bright and subtle is the way to go these days in terms of decor themes and incorporating painted furniture is one of the best ways to achieve this aim. Whether to brighten your decor theme or to add charm to your furniture if it is old, all such aims are best achieved with paints. Raiding the paint shops for fresh new shades will definitely give a new look to the old. Antique Stools make a charming and sophisticated addition to both traditional and contemporary homes and provide a good decorative accent with their rustic charm. Antique stools work effortlessly in any room be it kitchen, dining space,living or sleeping space. These stools come in different shapes and sizes. So be patient and do not make a hasty decision while choosing yours. 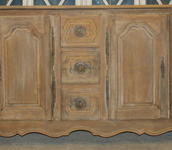 An antique buffet usually sits next to the wall of the dining rooms. The term buffet originally referred to French sideboard furniture where food was served. These have always been very functional pieces of furniture that can be used as a serving area with the cupboards under, providing ample space for storage of cutlery and dishes. Besides being very functional these buffets are packed with a rustic charm that can add a lot of character to the environment. Most antiques in your garden look absolutely enchanting. These add mystery, drama and an aesthetic appeal to your garden or patio just as hey would in your indoor environment. A small statue peaking from a corner or an age old bird bath taking centre stage! Imagine the unique quality these timeless pieces strategically placed in your garden will bring. 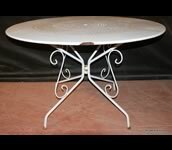 At Arcadia Antiques we have a wide range of garden antiques to decorate your gardens such as antique garden planters, antique garden urns, antique garden benches and marble top cafe tables and garden tables. 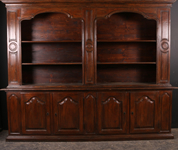 Antique bookcases have always been one of the most loved pieces of furniture since the very beginning. No matter the origin and time period, these have always been elegantly designed and were usually pieces worthy of showing off in the home. Most antiques are a good inclusion in the today'Included in the list of suitable antiques are antique stools and benches. Although these are not very great in terms of utility in the current times, antique stools make a charming and sophisticated addition as decorative accents here and there. These can be put to use as side tables, plant stands, for seating, displaying certain artefacts etc or as a substitute in place of the larger occasional tables. Full of character, casually chic and very welcoming, French Antique furniture might just be the right choice if you are looking for a special piece of furniture for your home this Christmas. Infusing the modern homes with this period furniture can very effortlessly elevate a seemingly plain room to something very elegantly stylish. Chests, or Coffers or Kists as the antique ones were often known as saw very versatile uses depending on the place of origin and the designs. While some were traditionally used to store valuables apart from weapons and fine cloths in the earlier times, the Italian Cassonnes, as they were known in Italy, were mostly used for carrying the dowry goods during the marriage ceremony. As the name goes cricket tables are in essence English pieces of furniture which were first created somewhere in the early 16th century. Examples of these tables have been often seen in Scotland, Ireland or Wales and such other places. 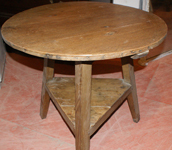 In general terms, a ‘cricket table’ refers to an occasional table with a round top, set on top of 3 angled legs, usually with an under tier set between the legs. The three legged table concept was developed maybe because the three legged form is comparatively steadier on uneven ground, stone flag floors in the taverns, inns and cottages back then. 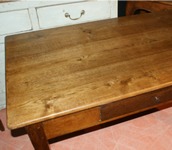 We have recently acquired these two simple French writing tables in our collection for sale. 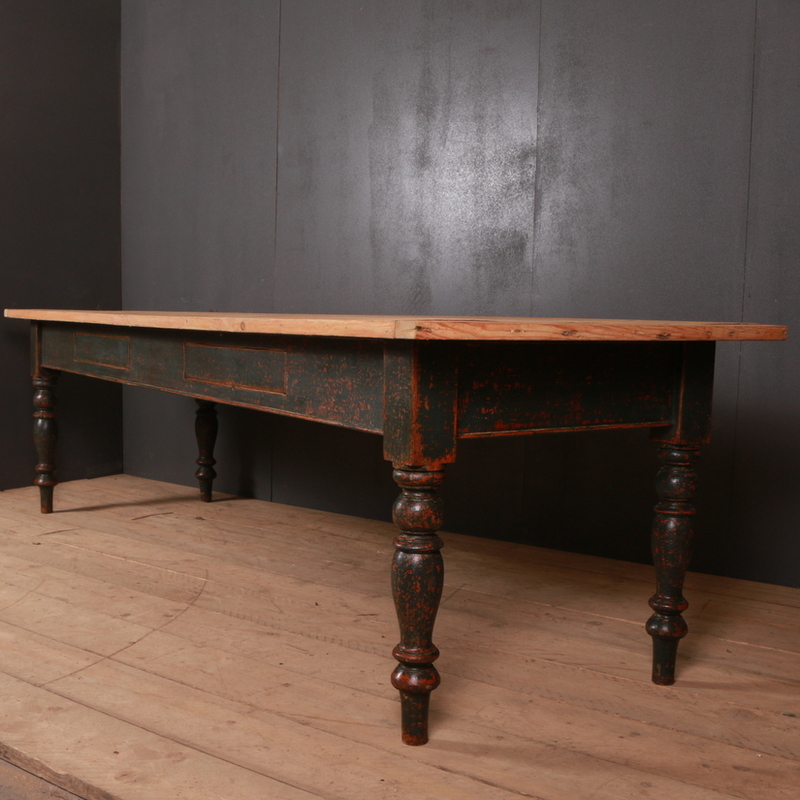 Those who are looking for a touch of difference to their workspace can definitely give a thought to these mid 18th century writing tables. 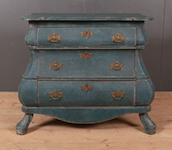 These antiques are not your typical highly ornate and hefty period desks but elegant minimalist designs of the 1800s. 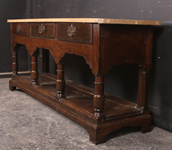 Belonging to the French Furniture designs of the 1700s, the console table is still a strong favourite amongst the many different kinds of antique furniture options. These beautiful pieces of furniture help bring in that soulful antique tone to the modern homes. 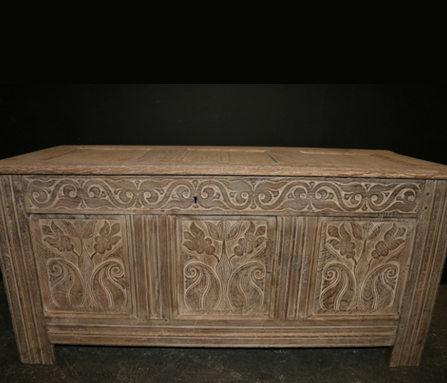 The intricately carved and highly ornate pieces were designed for great galleries and spacious apartments. These were often used to display decorative items such as porcelain vases and such. 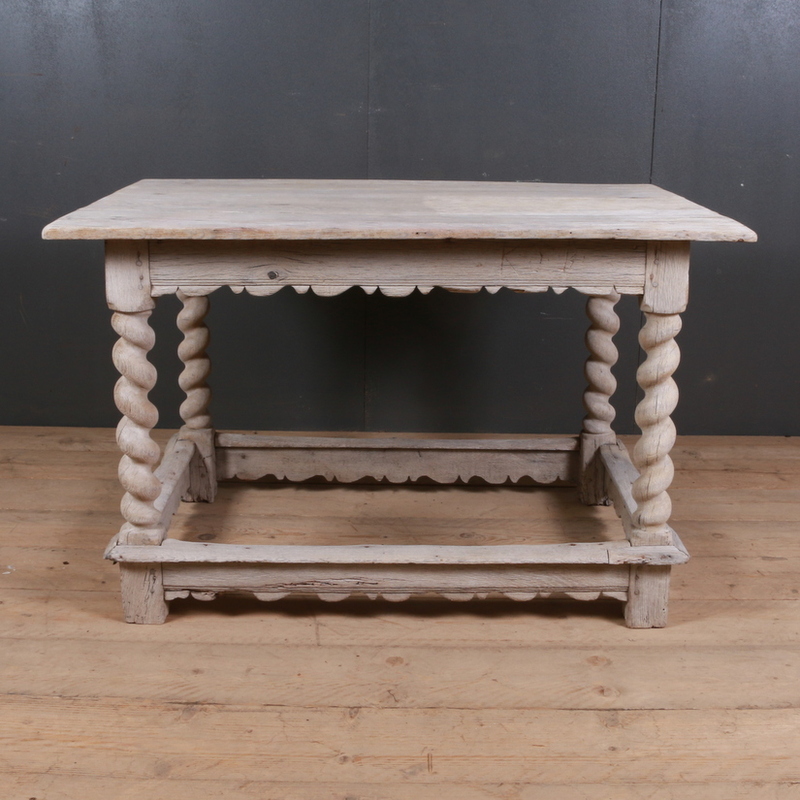 The 17th century saw a lot of ornate items which were usually found in the wealthy homes but as the designs evolved over the period of time these console tables sought entry into common homes too. 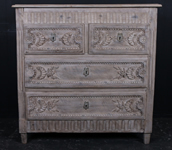 French antique furniture comes with an inherent charm that is casual yet classy, especially the country style. 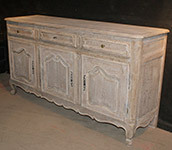 This lighter coloured French country style furniture has been in demand for quite some time now. People are giving much thought to decorating their living space in a creative way and with the shift from formal to more casual living style, the areas that can be explored are also many. 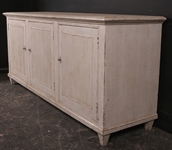 Enfilade is one term that has several meanings and has been interpreted in a number of different ways. Look it up on Google and you will see that Enfilade can actually mean so many things. Pertaining to the military, Enfilade in military tactics is used to describe a military formation’s exposure to enemy fire. It basically defines the position of works, troops, etc., where fire can be directed along the length of a line of troops. In architectural terms, Enfilade is a suite of rooms formally aligned with each other or an axial arrangement of doorways connecting rooms or of mirrors which basically gives an illusion of a long vista. The furniture from the Georgian and the Victorian and other such eras was all about flamboyancy. The lavish lifestyles of this era meant furniture that was made to impress. Beautiful pieces with beautiful carvings were usually created to show off the riches of the elite. 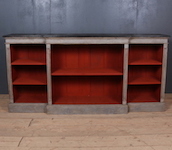 Bookcases crafted out of quality materials were at the forefront amongst such flamboyant furniture items. Here at Arcadia Antiques amongst our fine collection of furniture we have some good examples of antique bookcases too! The all time favourite Leamington Music Festival Weekend for 2015 is scheduled from the 1st to the 5th of May this year and promises to live up to the expectations of the Leamington Music Festival reputation. The stage will be set for the twelve concerts in the Royal Pump Rooms this year too and the performers include the some renowned artists like cellist Raphael Wallfisch and the Henschel String Quartet from Germany. 2015 is a rather special year for the Festival Director but you will need to be patient as the reason why it is specialwill only be revealed soon! Check out the schedule and the details of all the twelve concerts for this season right here. 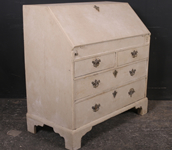 As usual we have some very interesting items in our collection of antique furniture that are worth looking at. 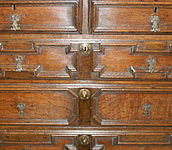 For example these antique chests of drawers. We have pieces that been crafted beautifully and combine elegance with practicality. Always a strong favourite, chests of drawers continue in their popularity as they can be pretty, practical and extremely versatile. 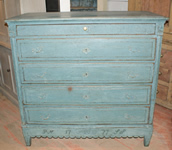 A particular favourite is this Danish Chest of Drawers that is wonderfully compact proportions yet has 5 long drawers. It has the date 1777 engraved on it together with the initials SS and PM. Occasionally a particular piece of antique just doesn’t suit the theme of your décor. Maybe the size is a problem or maybe the colour. In which case you will no doubt be considering custom built furniture. If you are a novice there are a few pointers that might help while buying antique furniture for the first time. First and foremost is try to ascertain whether the piece is original. This might not be all that easy but there are a few things that you can look out for which will give you a fair idea about the authenticity of an antique. Read on ....! Places around Arcadia are buzzing with the festive zing as we get closer to Christmas. The spectacular and ever popular Lantern parade lit up Leamington beautifully and was carried out successfully amidst a lot of enthusiasm and creativity with the participation of over 500 people. With the office seeing more and more people letting go of their chunky computers for laptops and tablets it is time to think beyond the functional tables meant for the computers with their way too many wires and attachments. With the clutter free laptops and tablets in use these days you can make do with something that is just as functional but good on the eyes as well. From interior decorators to the industrious DIY enthusiast we are always looking out for something different to do with interiors. Amongst all the transitional styles of decorating, incorporating different styles is usually always a good option. Achieving a good balance with these styles gives it an edge. An overall balance and proportion is necessary in terms of the colour schemes used, textures and shapes applied and most importantly the styles incorporated. 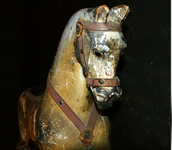 Antiques give a place that surreal appeal which is loved by many, but often antique furniture is dark in colour and, if there is lots of it, can be oppressive, dark, brown and serious. Chests of drawers can look good, can be practical and provide excellent storage facilities. Antique versions are all the better with their charming appearance. An antique mirror that proudly wears its worn lines and distressed patina can work wonders in a décor that is classic or contemporary. 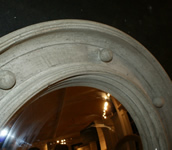 The character of such a mirror is acquired as a product of the years of usage. The very slightly worn out lines give it that worldly sophistication along with an intrinsic and beautiful historic appeal. Besides the looks and the aesthetic appeal, mirrors can also enhance the look of a room by creating an illusion of space thus making it appear bigger. It can also add light and brightness to a place. Antique chairs play a major role in the décor of your home. Your chairs must match and complement the room and at the same time be equally functional. Comfort and uniqueness should be mainly considered while you design your home. So when extending this uniqueness to the seating in your home you might want to consider antique chairs for your décor to blend into the room interior to give that unique edge. Occasional tables are popular furniture options thanks to their versatility and the number of ways in which these can be used. 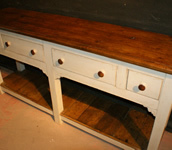 Occasional tables include a wide variety such as bedside tables, cricket tables, coffee tables etc. These tables are very versatile and can be used efficiently for increasing the functionality of a particular room. Mirrors are the first love of many interior decorators, be it for the practical purpose or for the decorative purpose. These can be used in various versatile ways to achieve different purposes. Strategically placed mirrors make the place appear bigger and if they are placed in a way to reflect light, these manage to make the place appear brighter as well. 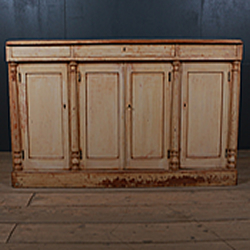 The traditional long and lesser in height French Buffets are called the enfilades and these enfilades are usually characterized by four or more cupboard doors which is almost a prerequisite for it to be enfilade. These traditional antique enfilades were initially more often used in the dining rooms for different purposes. 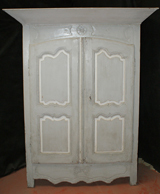 Often that antique or decorative furniture item you specifically require is just not available. Maybe the colour is not as per your choice, the size is not right or you like the look and feel but the shape just doesn’t fit etc. In which case look no further! Why not think of getting what you want customised as per your choice? Antique bookcases and display cabinets effortlessly add style and charm to a setting. In addition to being ideal storage furniture bookshelves and display cabinets are also visually very appealing. 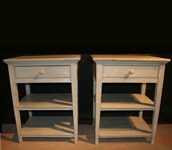 Showing amongst our new stock of furniture is a choice of 2 custom built potboard servers. So at last you can have one to suit your own size requirements. As the days get shorter and the weather cooler you tend to spend more time inside and attention turns to the look and feel of the interior design of the house or flat. Invariably a few alterations here and there will be a welcome change to the overall feel of the place. More and more people are taking a keener interest in the appearance of the interiors of their houses. With this ever escalating awareness of home decor, lots of styles of interior decoration have emerged over the years. The current trend that is in vogue is that of mixing different styles of furniture for the decoration purpose. Now days people do not usually stick to matching and totally well coordinated themes of designing. 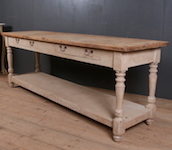 We are lucky enough to be able to offer for sale a rare and perfect example of antique pine furniture.